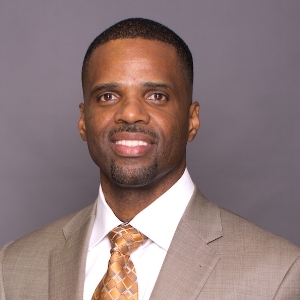 Brian Williams is the founder of Perspectivity, a sales transformation company that specializes in helping clients enhance their Sales Strategy, Sales Staff, Sales Skills or Sales Systems. This is our 4-S Focus. Our Perspective is that all sales messaging, presentations and conversations should coincide with adult learning principles, and the psychology of how adults make buying decisions. Brian’s career has spanned from start-ups to large Fortune 500 companies from Silicon Valley to 12 other countries, in companies such as Cisco, Nortel, Ericsson and Motorola. He started his career in software design and testing, then moved to technical marketing before he found his home in Global Technical Sales where he took four acquisitions ($1.2B total), a $10M budget and a 32-man team in four countries and used it to grow the company’s global customer base by 23%. He did so even when some leaders within the organization thought it couldn't be done. Brian is known for his ability to take large complex projects and create simple systems to increase sales. He formed Perspectivity based on the experience learned while in his final role in corporate America. His firm employs a 4-S system to increase sales. They address your Sales Strategy, Sales Staff, Sales Skills, and Sales Systems. Brian also achieved great success in his quest to win the Toastmasters World Championship of Public Speaking. He became a semi-finalist putting him in the top 40 of 40,000 contestants globally. Brian received his B.S. in Computer Science from Texas A&M University and completed 3.5 years of intensive Executive Leadership Programs. He resides in Dallas, TX with his incredibly smart wife and four home-schooled children. When he's not working, Brian loves international travel, to go on runs from three to five miles or to attack those chocolate-covered almonds from Costco! It’s tough creating repeat sales or marketing messages that are engaging, and meet the three C’s of effective messaging. Is the message clear, compelling and concise? Sales and marketing professionals are constantly in communication with prospects (email, phone, in-person, social media, video conferencing), but do you have a plan, a system that creates a clear, compelling and concise message, every time? This session offers a framework for effective sales and marketing messages based on both science and psychology...with a few free giveaways!